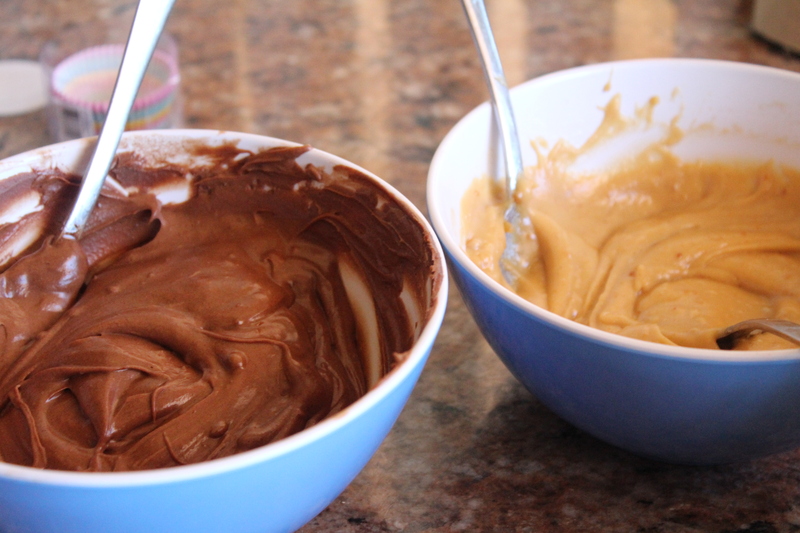 Mix the chocolate ingredients together in one bowl and the peanut butter mixture in a separate bowl. Ensure both mixtures are soft enough to work with but not to runny otherwise they will not set properly. 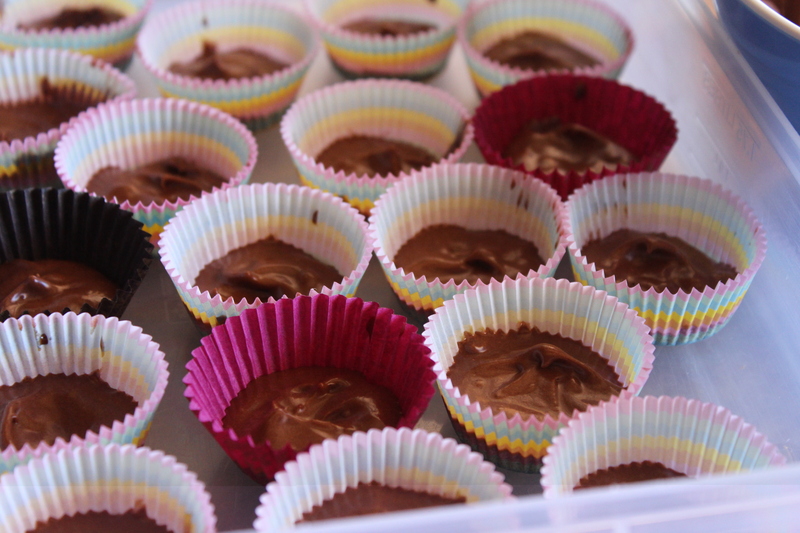 Fill miniature patty cups 1/3 with the chocolate ( remember to leave about half of the chocolate for the topping ). Set in the freezer for about 5 minutes. 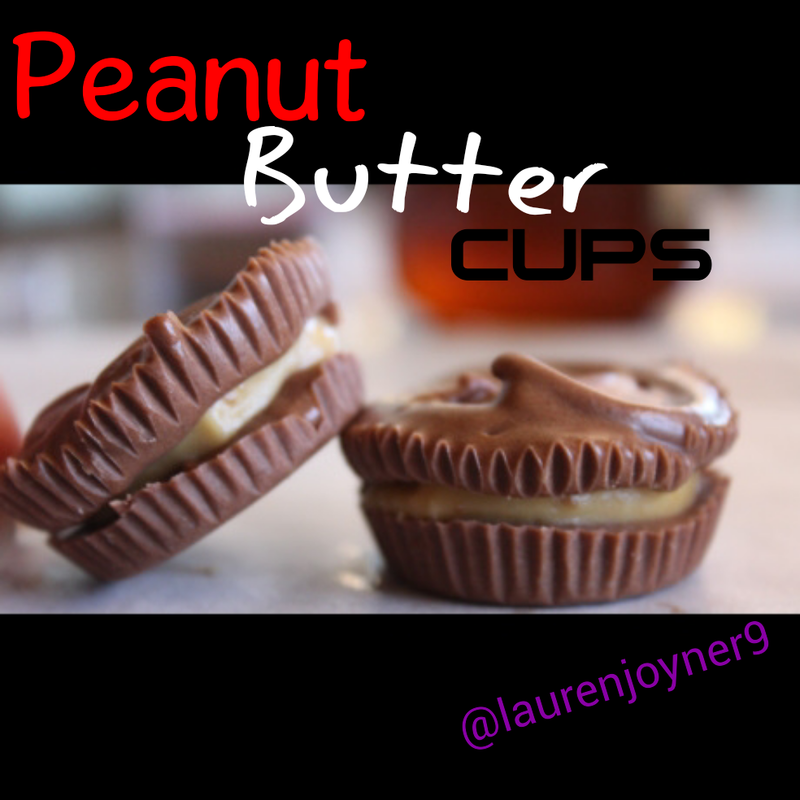 Add about a TSP of the peanut butter mixture on top of the set chocolate. 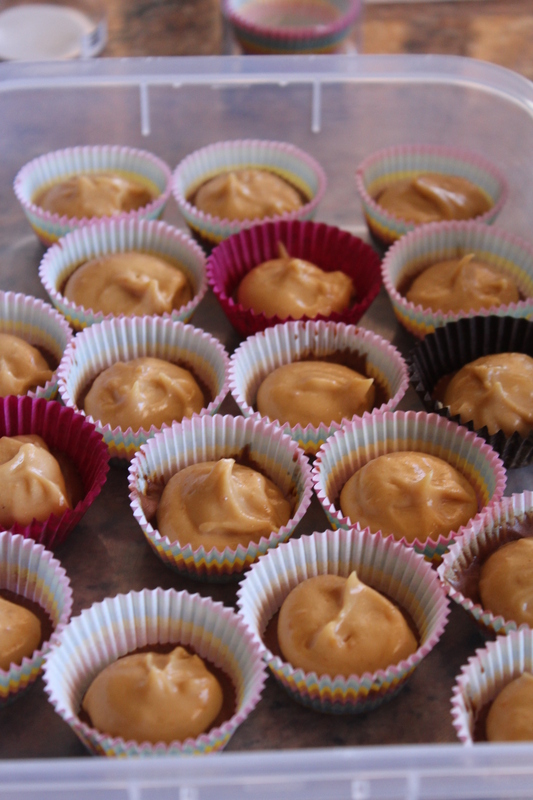 Set this in the freezer for 5 – 10 minutes. 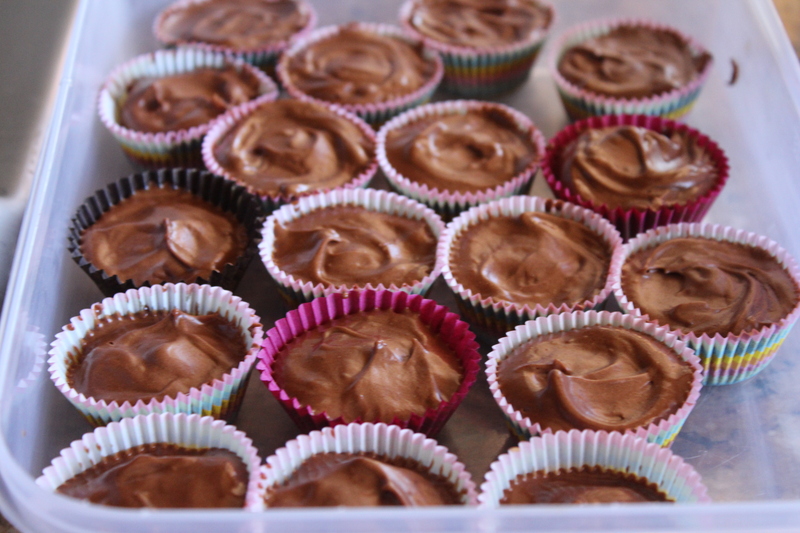 Cover with the remaining chocolate mixture. Place chocolates in the freezer for another 5 minutes.